Health Canada wants to assure the public it has taken steps to ensure its Food Guide consultations are free of potential conflicts-of-interest. 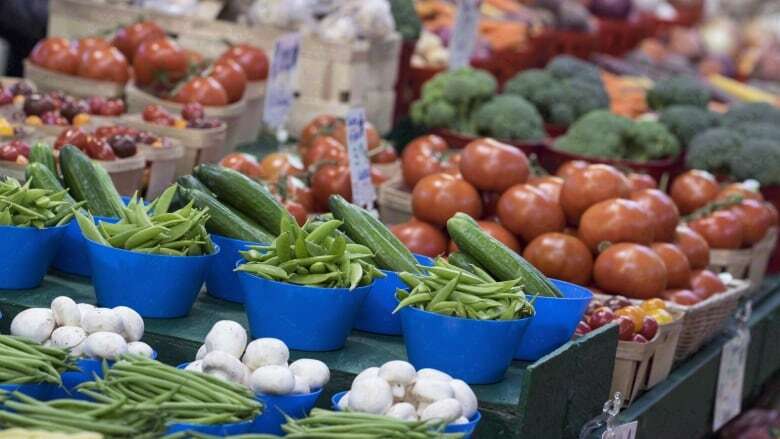 Health Canada is facing pressure from medical advocates to ensure there are major changes to its existing Food Guide as it works on highly anticipated dietary guidelines to be released early next year — a process that came a step closer to completion this week. Consultations on the upcoming changes ended on Monday and the department now wants to assure the public it has taken steps to ensure the process is free of potential conflicts-of-interest. OPINION: If dairy gets demoted in the new food guide, does that mean it's bad for you? Hasan Hutchinson, director general of nutritional policy and programs at Health Canada, acknowledges there has been a long-standing "perception" by some stakeholders and Canadians the last Food Guide was too influenced by industry. "Whether that is real or perception is almost beside the point, because what we arrived at is the lack of confidence of Canadians and stakeholders in our dietary guidance, so what we did this time around is we controlled very, very strongly for that," he said in an interview. "We don't have any backroom meetings." The department isn't using evidence funded by those with vested interests, Hutchinson added, it is looking to the best scientific evidence available. The new guidelines are expected to be scrutinized by health advocates, including Dr. Yoni Freedhoff, an Ottawa-based obesity specialist who hopes the new version will be a big improvement from today's guide. Freedhoff has long been outspoken about a number of concerns he has with the existing guidelines, including one that encourages people to choose 100 per cent fruit juice, which he says is simply vitamin-enriched sugar water. He also argues that following current dietary advice could actually make a person gain weight as opposed to control it. Kelvin Ogilvie, a Conservative senator who chaired a committee that examined obesity, also said it is critically important for Health Canada to get the new guide right. "I believe it is one of the most critical health issues facing Canadians," he said. "In the end, rational, science-based information has got be used to give advice and if the new Food Guide goes beyond urging Canadians to have a balanced diet approach … then it is making a very serious mistake." Industry lobbyists will be watching the process closely, he added, noting the Food Guide is studied closely by Canadians and institutional operations. "There are powerful forces at play," he said. "There's billion of dollars at stake in the industries going on here." In a March 2016 report, Ogilvie and the Senate standing committee on social affairs, science and technology, presented a very bleak picture of Canadians plagued with conditions connected to excess weight. In its conclusions, the report also criticized Health Canada's juice recommendations. "Canada's dated food guide is no longer effective in providing nutritional guidance to Canadians," it said. "Fruit juice, for instance, is presented as a health item, when it is little more than a soft drink without the bubbles."